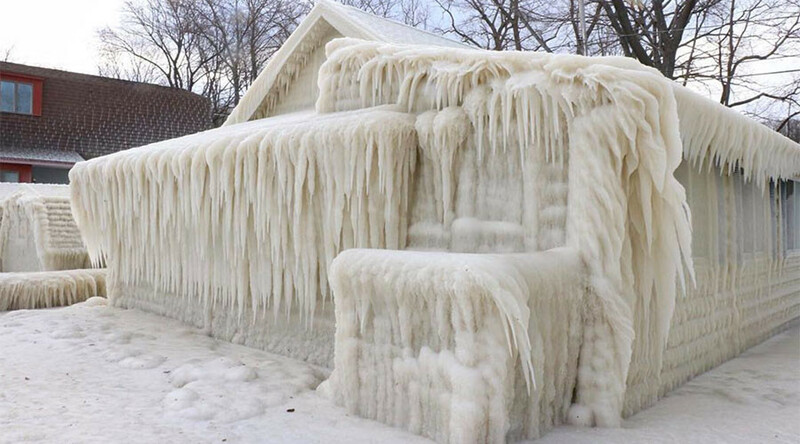 Footage of a house left completely encased in ice after being battered by water during freezing winds gripping New York state has gone viral. Local photographer John Kucko captured the stunning footage and photographs of the house completely frozen over on the shores of Lake Ontario. “Many people think the images are photoshopped, they're not. The video underscores that” he added. New York was struck by a vicious windstorm last week, leaving tens of thousands of people without power, some for a number of days. A blizzard warning is still in place for the area, with 12 to 20 inches of snow expected to fall over the next few days.